Bespoke Wedding Planner & Wedding Dressing, Styling & Hire with a 'Finishing Touch' Service for your Special Day in Cyprus! Renowned for our 'Above and Beyond' approach, testament from past and current clients with growing 5* reviews, we take great pride on providing a bespoke Wedding Planning Service on an individual basis for Weddings & Vow Renewal, allowing you to sit back and relax without the worry of 'red tapes' and wondering where to start! As an independent & qualified Professional Wedding Planner, my role is to bring your dreams to life, straight forward with ease and enjoyment and as competitively priced as possible. Having built a wonderful relationship with some brilliant suppliers, not only that are among the best on the island but alike with some incredible prices let me help you take the worry out of 'where to start'. We take pride on 'being different' to other planners and utilise our discounts and commissions from suppliers and venues, without any hesitation, passing them onto clients, making their day more affordable and allowing extra money for the 'holiday' side of your stay in Cyprus without compromising quality and service! From Venues to DJ's, Entertainment to Beauty, Photographers to Videographers – we manage the entirety of your day, the planning, infrastructure, suppliers and with you on the Wedding Day to deliver your dreams! Working independently I am not 'tied' to recommending one venue over another so we can book a venue of your choice, put together an array of venues suited to your enquiries or detail our extensive list of venues with links for you to 'view' including some hidden gems that you may not have found through tour operators. 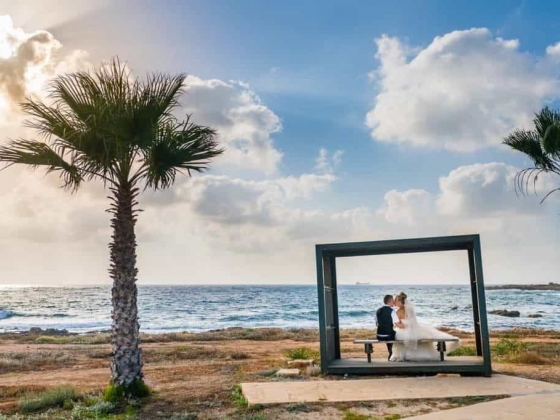 We always welcome you to visit Cyprus for a few days before you choose which venue and put together a planning itinerary to include everything you may need, from meeting with the suppliers, to choosing the 'finishing touches' and squeezing in enough time to sample the delicious food for your day topped by Wedding Cake Testing! Whilst some people may not get this opportunity, rest assured with modern technology we can Skype and FaceTime and visit venues on your behalf without compromising any choices and decisions. 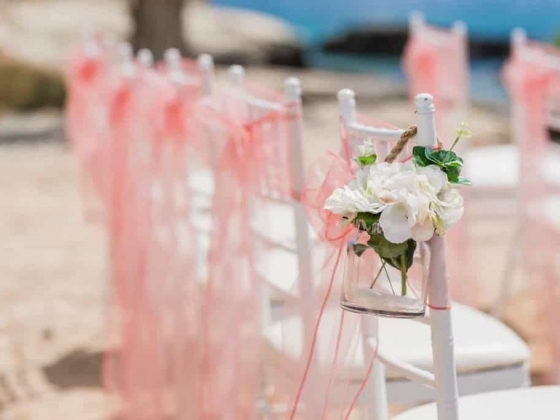 Whether you only need our expertise and professional assistance to book your venue and assistance with the Town Hall detailed with formal confirmation of your wedding or a fully managed service from start to finish to piece together your dream day, Marry Me Cyprus would LOVE to help you. Choosing a planner is like looking for a new best friend! Not only a MUST to be organised and meticulous with detail for planning, but to be creative, a good listener, wonderful negotiator and without question, professional BUT also someone you can trust, someone you can talk too and most of all someone who will work as hard as you would for a perfect day. At Marry Me Cyprus Ltd we do just that. 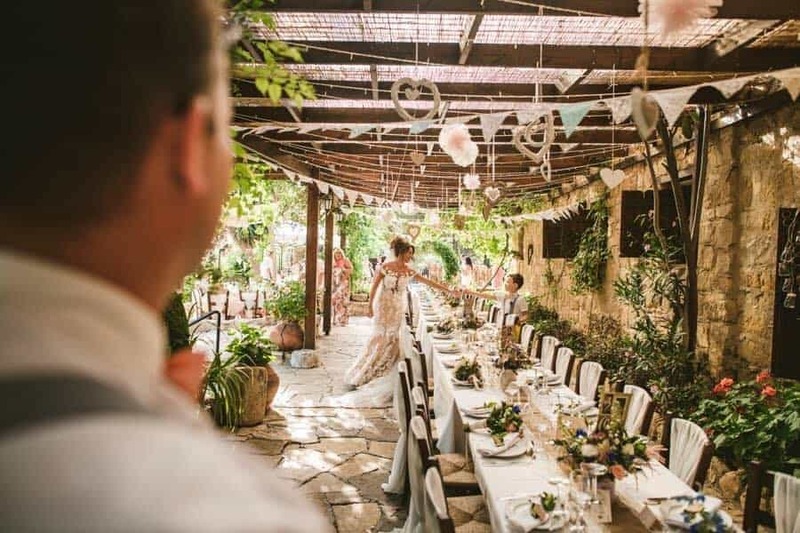 Every Cyprus wedding has that wonderful touch of romance, with natural picturesque settings and we understand that the 'finishing touch' is in the way your weddings is dressed. 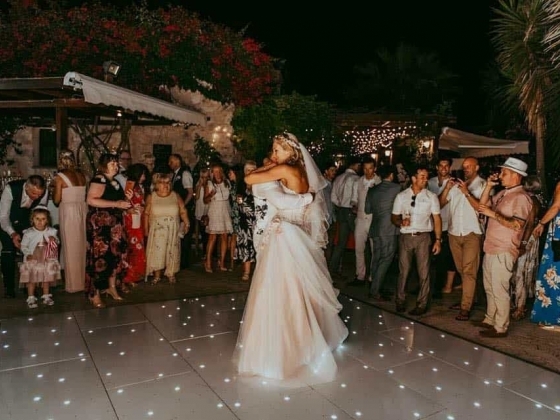 To complement our Wedding Planning Services and to ensure that all of our clients have the most amazing day to remember, we are in addition one of the most popular Wedding Dressers on the island - with a beautiful showroom in Paphos where you can see the array of hire equipment, choose colours and centrepieces and order anything from a Wedding Sign to a gorgeous LED Starlight Dancefloor. Why not illuminate your wedding day with a set of our gorgeous LOVE lights & Mr & Mrs, a beautiful back drop for your wedding photos and a fantastic focal point. With a 144 page detailed Wedding Hire Catalogue, there isn't anything we have forgotten to dress your day! WHY DO YOU LOVE WHAT YOU DO? Meeting new people, helping them visualise a dream and then making them dreams come true is nothing short of a privilege! As a planner, I love what I do, as I get to make dreams come true and the satisfaction and warmth in your heart when you everything is pieced together is truly amazing and the greatest reward. I cannot call this a 'job' as this is a passion for me, a job is something we have to do, this is something I love to do and what better way than to give two very special people a perfect day to remember forever. Passion, Love and Professionalism. Understanding peoples visions and dreams to deliver a memories for the rest of their lives! What makes us different is we are bespoke, everyday and every wedding is different. We listen and guide and allow our brides to make their own choices for every element of their day! We work independently so we negotiate with suppliers on a one-to-one basis alike to our clients. We become a 'Wedding Family' and enjoy the planning stages as much as the day together. Simply our 'above and beyond' approach to everything is testament from our reviews, delivery and recommendations. 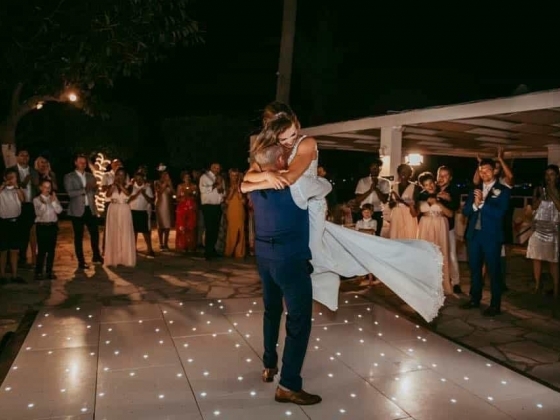 Our clients are the most important thing to us and understanding that we have notably the most important day of their lives in our hands, our attention to detail and delivery is without doubt the foundations of the wonderful reputation to which Marry Me Cyprus is built upon!. 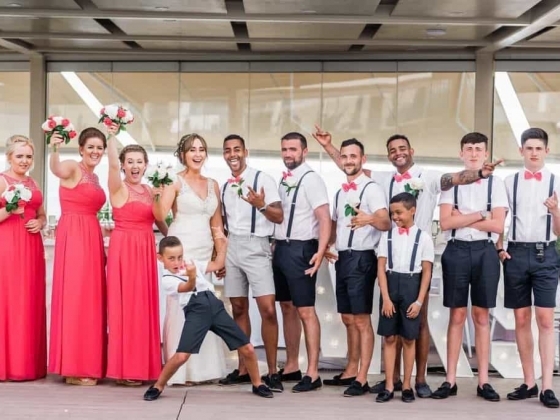 It can seem very daunting when you look to get married abroad and more so that you don't know where to start or who to ask. Choosing a planner is like looking for a new best friend ! 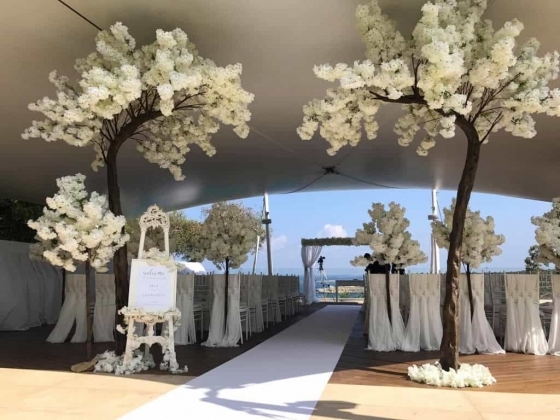 Not only a MUST to be organised and meticulous with detail for planning, but to be creative, a good listener, wonderful negotiator and without question, professional BUT also someone you can trust, someone you can talk too and most of all someone who will work as hard as you would for a perfect day. Listen to your heart and follow your dreams, with the right planner the process is one of the most enjoyable journeys, one that will simply feel like you have just all 'the nice bits to do'. Just remember A Wedding Planner is a Gift you Give Yourself for Your Wedding Day.